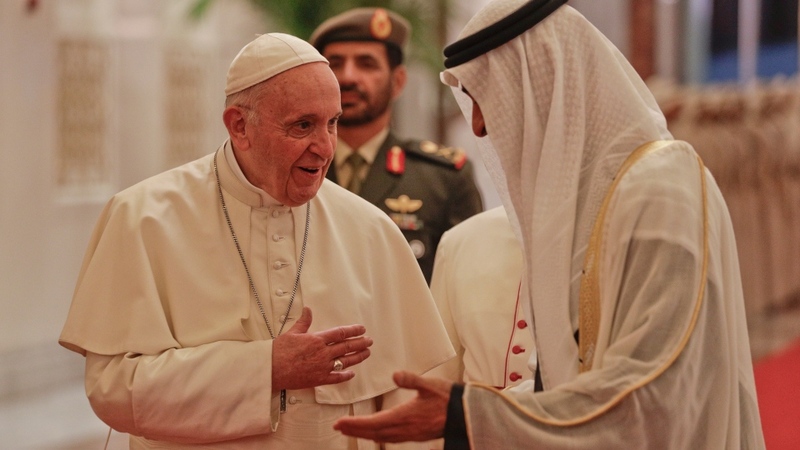 ABU DHABI, United Arab Emirates -- Pope Francis urged religious leaders Monday to work together to reject the "miserable crudeness" of war as he opened the first-ever papal visit to the Arabian Peninsula, the birthplace of Islam, with a strong denunciation of violence committed in God's name. Francis' speech, delivered at the Emirates' Founders' Memorial, capped a historic day that began when he arrived at the presidential palace for a welcome ceremony in a tiny Kia hatchback -- only to be greeted by an artillery salute and military flyover by a country at war. 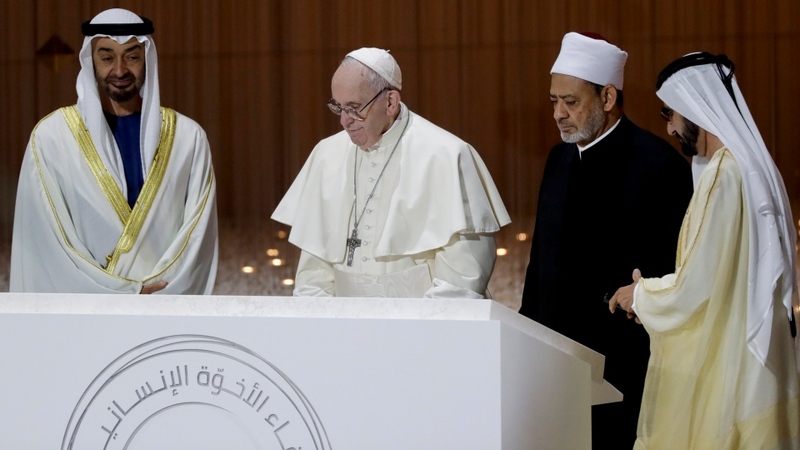 It was a reference to the UAE's often-stated claims of tolerance -- it has a minister for tolerance, is hosting the interfaith meeting Francis is attending and has declared 2019 to be its "Year of Tolerance." That respect for non-Muslim forms of worship, however, runs up against the political reality of media censorship, repression of political dissent and bans on proselytizing and conversion for Muslims. 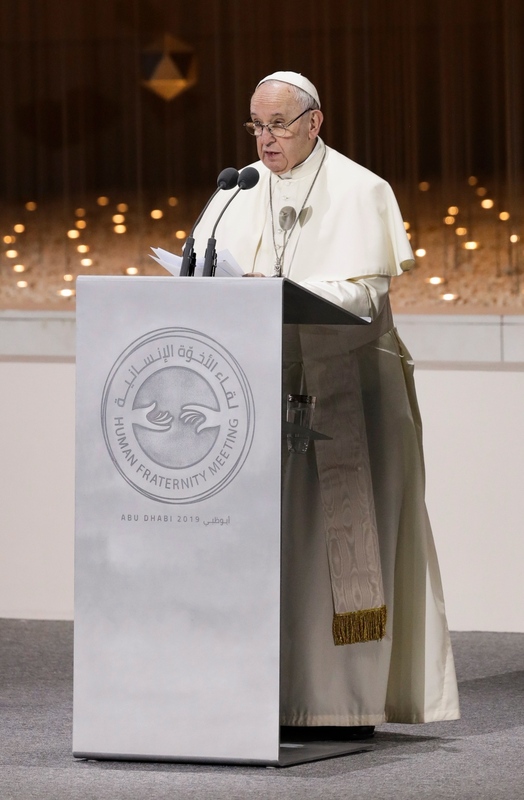 "Human fraternity requires of us, as representatives of the world's religions, the duty to reject every nuance of approval from the word 'war,"' Francis said. 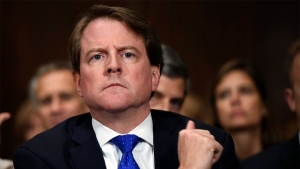 "Let us return it to its miserable crudeness." Francis also noted that while foreign labourers have helped turn the Emirates from a desert trading backwater into a global financial power, they are not necessarily made to feel welcome or become citizens. Human rights groups have long denounced violations of basic human rights and labour standards among the Emirates' foreign work force.